"A general view of racing during the NASCAR Sprint Cup Series Ford EcoBoost 400 at Homestead-Miami Speedway on November 16, 2014 in Homestead, Florida." 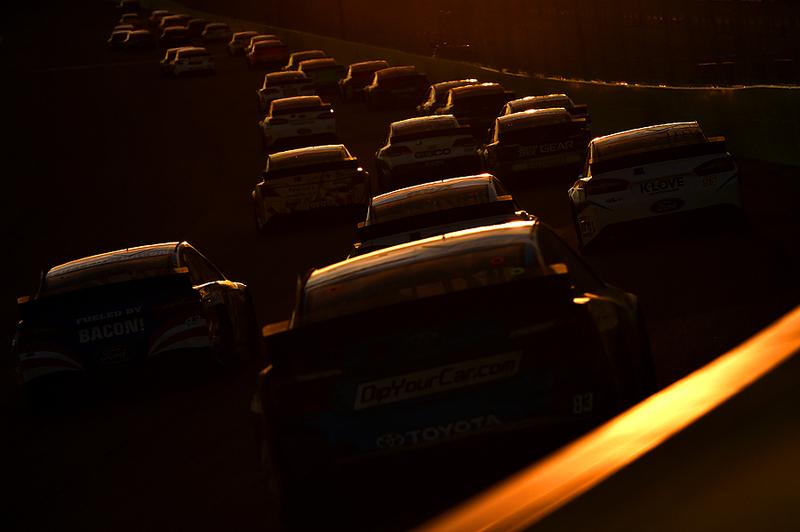 More than forty stock cars speed into the sunset - the final race of the season is here and gone. Last week, I found myself covering each of the final series finales at Homestead-Miami Speedway. As always, teamed up with the amazing Getty Images crew, everyone was excited to document and see which drivers would take home the championship from each series. There is no other way to describe it other than long days and longer nights - yet it was all worth it. As we packed up one last time for the year, it was a lot of fun to look back on the year. The crew of guys and girls certainly taught me a lot - and while I have never, and will never, considered myself a primarily a motorsport photographer, it's always an incredible opportunity to work alongside the best. Each week presents it own set of challenges, and it's never easy, but I am continually proud to be apart of the Getty Images team and looking forward to next year.